UNER's label on many occasions has brought exposure fresh-faced talent, and the imprints latest EP from Heads & Tails INC is another fine example of him finding a diamond in the rough. 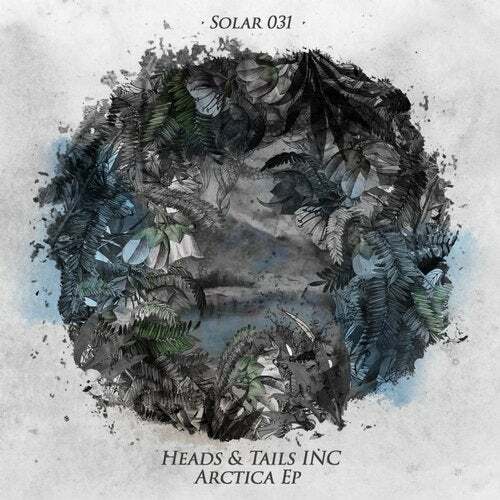 Heads & Tails INC are a duo based in Barcelona who prior to this had done only one other official release for a label called HOPELESS, but they now join the likes of SIS, Raw District, Alex Kennon and Fideles as part of the Solar Distance family. Each of the guys who make up the Heads & Tails INC duo brings something different to the project but both are skilled musicians, engineers and sound architects, with a sound that's fused the toughness of techno with melodic elements and deep atmospherics that are at the core of the Solar Distance sound. The EP's opening track 'Borealis' is a dark atmospheric intro cut with whispering tones and cinematic textures that set the scene for this epic release. The first of the tracks to introduce a kick drum is 'Polar Vortex' which has hard hitting percussion over pulsating synths and pads which add a sci-fi feel to this timeless cut of techno that's harder than some might expect from Solar Distance. 'Arctica' closes the release with its fiery style and mechanical rhythms that have a subtle industrial influence, while the hypnotic synth line loops with morphing modulation that adds to the tracks full throttle sound.